According to Scone Palace's website, "Scone Palace, the crowning place of Scotland’s Kings, is famous for its colourful peacocks. These regal birds have been roaming the grounds for over 200 years and provide entertainment for the thousands of tourists who visit the Palace each year." The white peacock is named Andrew, and he was a beautiful one! 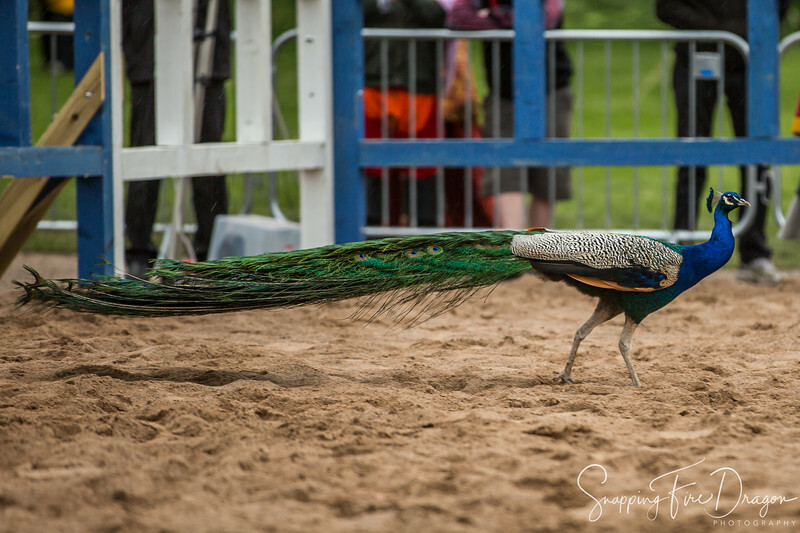 This particular peacock was brave enough to enter the list area during a medieval combat tournament without any armor. Luckily, none of the fighters harmed him and he entertained the crowd.